Basic science tries to improve our knowledge of the world and of man as part of the world. Taken in this wide sense, science includes the physical and social sciences as well as the humanities. Specialization in science is unavoidable. The price of specialization, however, is compartmentalization of science and, on the part of individuals, limitation of competence and knowledge to an increasingly narrow field. Outside the individual's narrow field of competence, he is forced to rely on authority. The forces toward fractionalization and disunity in the sciences are so strong that they seem inexorable. Is there, really, any unity of science, and where might it be found? This major book, a collection of essays by some of the leading scholars in the field, takes an arresting look at those very questions. 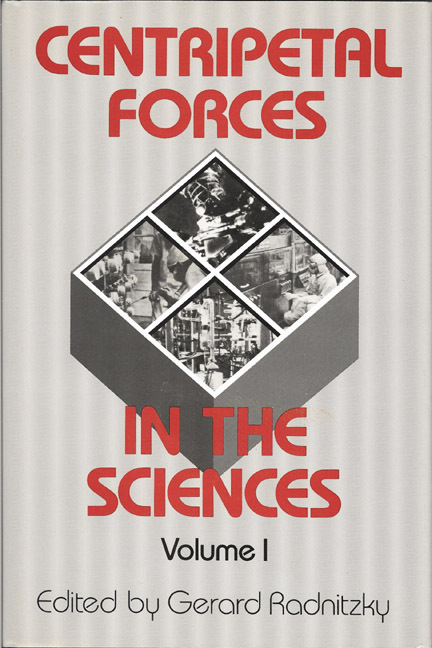 The opening chapters set the scene by outlining the intellectual history of the most important traditional approaches to the problem of the unity of the sciences, while part two investigates the methodological aspects of the general problem of unifying science, as well as the more special issue of the unity of physics. Part three explores the unifying potential of the economic approach, the idea that the key concepts of economics, suitably generalized, may prove to be useful outside the traditional areas of economics in such areas as biology, sociology, anthropology, and so on. The book concludes with the presentation of a paper by the British philosopher Anthony Flew, in which he attempts to assess the role played by the natural laws or law-like hypotheses for the unity of the social sciences. Gerard Radnitzky, one of the leading philosophers of science of the post-positivist era, brought together this stellar group of eminently qualified scientists and philosophers to assess the current situation of unity of science and unity of knowledge. The book constitutes essential reading for all those persons concerned with the broad question of unity in the sciences, and those concerned with the details of the evolutionary and the economic perspectives in the philosophy of science. 17. The Unification of Science Through the Economic Approach-Fact or Fiction? GERARD RADNITZKY is Professor of the Philosophy of Science at the University of Trier, Germany. Among his many publications are The Structure and Development of Science and Economic Imperialism: The Economic Method Applied Outside the Field of Economics.